in the case of an interest rate inelastic money demand. function and the utility fu nction. This note gives a counterexample for their statements. such a policy is still effective. assumptions on the utility fun c tion of Reis . A set of assumptions imposed on is discussed later. controlling an appropriate rate of money growth. tion and Science, the Government of Japan (21530277). tions in order to describe the system. 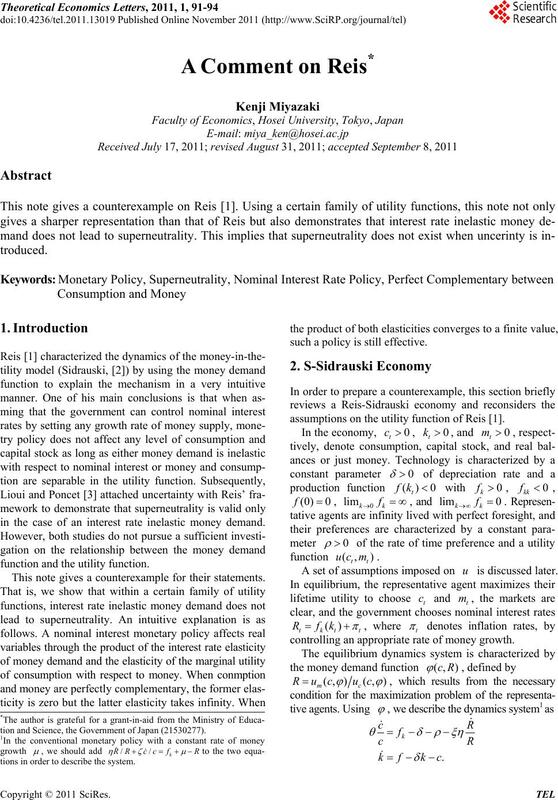 the consumption elasticity of money demand. is not necessari ly zero. or the utility function is separable. and the cash-in-advance constraint is always binding4. 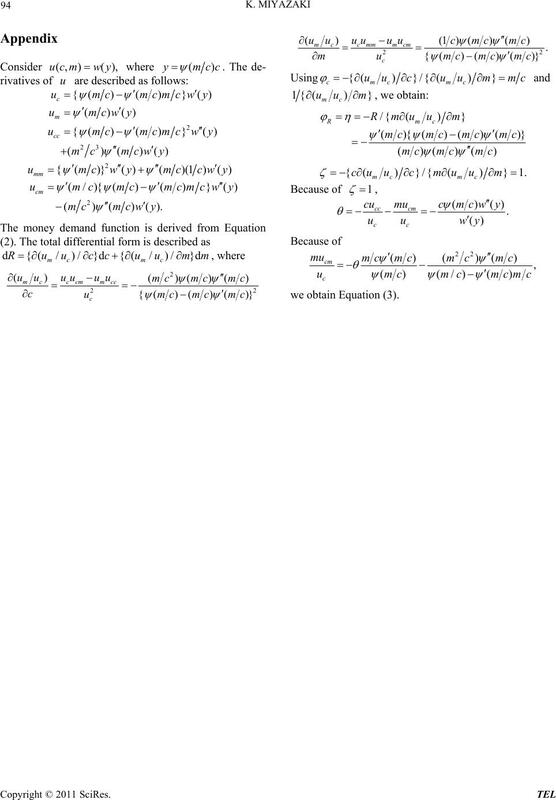 tion than that of Reis  but also give a counterexample. 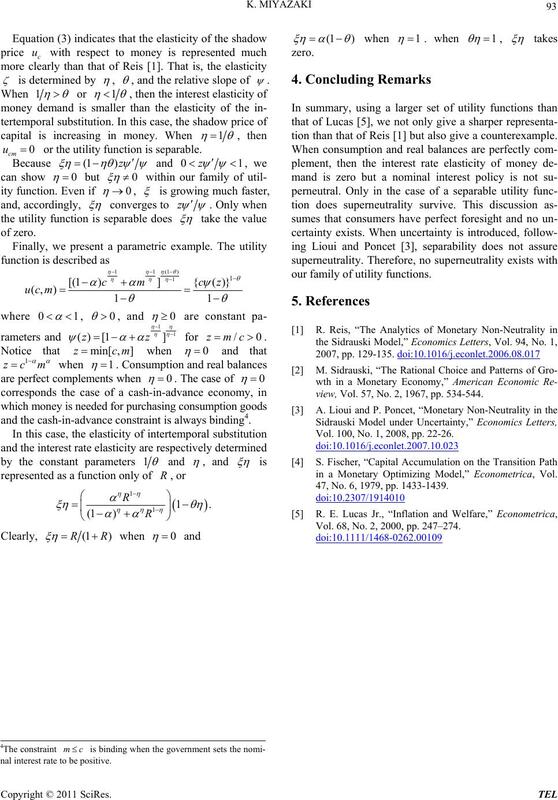 our family of utility functions. view, Vol. 57, No. 2, 1967, pp. 534-544. Vol. 100, No. 1, 2008, pp. 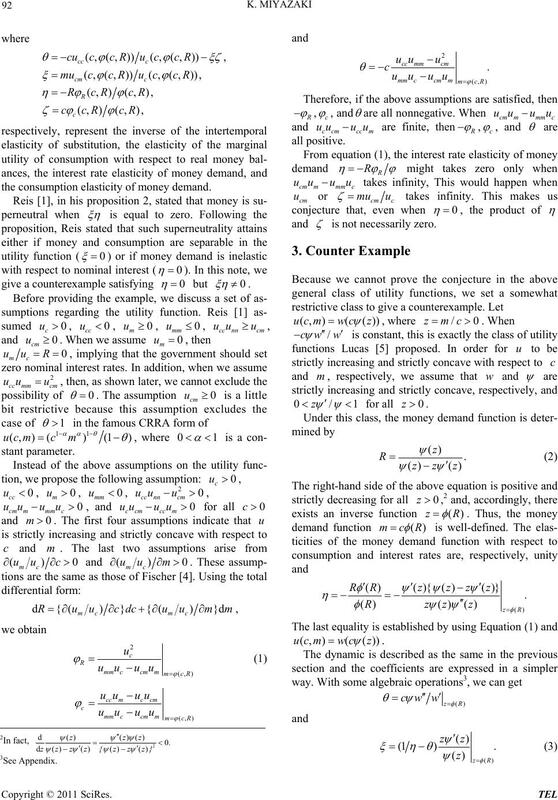 22-26.
in a Monetary Optimizing Model,” Econometrica, Vol. 47, No. 6, 1979, pp. 1433-1439. Vol. 68, No. 2, 2000, pp. 247–274. e obtain Equa t i on (3 ).